Calling all lovers of Sherlock Holmes! This is a must have for the fans! Lyndsay Faye has a way of keeping it real and bringing the true feel of that time to life. If you're a fan of Sherlock Holmes, then you'll love this anthology of stories from Lyndsay Faye! I give this book 4/5 stars! The book has stories told in different sections: Before Baker Street, The Early Years, The Return, and The Later Years. So we follow them throughout their careers in a chronological order. I really liked how Faye stayed true to the classic Holmes and Watson - she didn't try to reinvent or modernize the mysteries. It's the same banter that we know and love between the two and the mysteries are great. I've always loved the methods of deduction that are used - it's always intrigued me! These short stories feel like a summarized version of a full Sherlock novel - all the elements that you love, but without the drag of a 300+ page novel. If you're a fan of Sherlock Holmes, short stories/anthologies, and historical fiction, then this has to be the next the book on your list! She stays true to the historical references and the language used by the characters - which isn't always captured well by some authors. 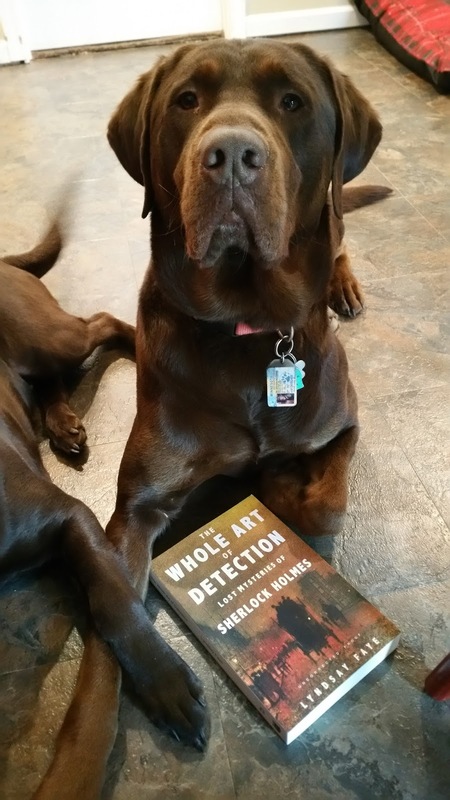 Lyndsay Faye’s The Whole Art of Detection: Lost Mysteries of Sherlock Holmes was completely outside of my reading comfort zone. Having never read a novel by Faye (and from what I have been hearing, this is a mistake! ), I wasn’t sure what to expect. Now that I have finished, I must say, although the novel was not for me, I was impressed with her writing ability. 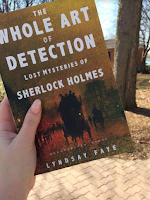 According to the media kit I received with this book and the Goodreads synopsis, Faye was a huge Sherlock Holmes fan and began to spin Holmes and his trusty sidekick Watson into her own works of fiction. As with all novels I read, I was perusing some reviews, and found that any that reflect this novel in a negative light commonly state that it reads like a piece of “fan fiction”. Faye never claims to make up Holmes or to try to completely reinvent the wheel. Instead, she takes what works from the classic Sherlock Holmes stories and adds her own twist to it. And she does it well! The novel covers Holmes’s career, beginning before he arrived to Baker Street and moving along chronologically. I loved the language. I do not enjoy a lot of classic fiction (I blame it on everything I was forced to read during my English undergrad in university), but I do love the sayings of the time. By Jove! My good man! On the contrary! The novel is written like an anthology and I think this is the thing I liked the most about it. It could easily be placed on your nightstand to be picked up whenever the mood strikes. Each story is short and to the point. No commitment is needed to read the book in its entirety. 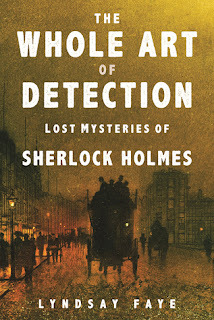 I have never been a “ride of die” Sherlock Holmes fan, and that perspective has not changed, so for that reason alone I am rating this novel 3/5 stars. However, if you love the classic Sherlock Holmes story, then you have found your next read my good man! This is a collection of stories that covers Holmes's career. 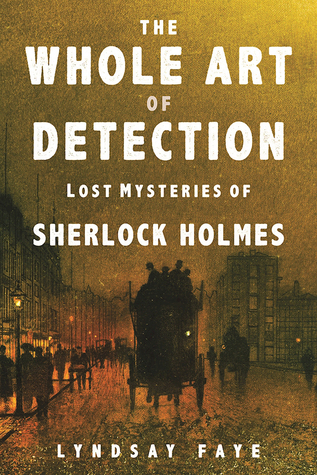 We see Holmes and Watson banter through various entertaining stories and mysteries and each chapter feels like a Cliffs Notes version of a longer novel yet still shows the fantastic ability they have in solving cases and baffling those around them. I've never been a fanatical Sherlock Holmes fan, a lover of short stories OR historical fiction. So why would I pick this book up? Because it's Lyndsay freakin' Faye! After reading Jane Steele and being WOWed by it, I just had to get my hands on this. She has a way of really conveying the feel of the original stories and putting you right into that era with ease. Such a rare talent to have and she does this seamlessly. My favorite of this book is "The Adventures of the Honest Wife". For some reason this one just sat with me throughout the entire read. If you are a Sherlock Holmes fan, this is a must read!